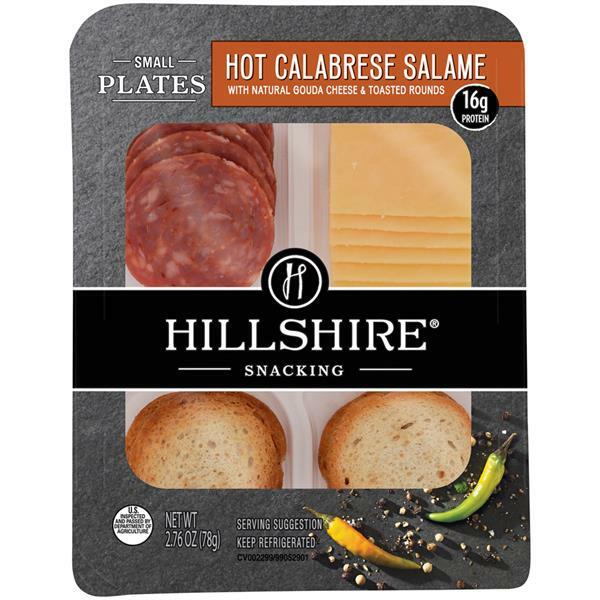 Spicy Calabrese salame, natural Gouda cheese, and toasted rounds come together in Hillshire Snacking Small Plates for a grown-up twist on snack time. Our Hot Calabrese Salame Small Plate features chef-curated ingredients and flavors such as fiery red chili pepper and cured salame for a truly elevated snacking experience. Try pairing with a full bodied brown ale to enhance the flavors of the spicy Calabrese salame and creamy Gouda. 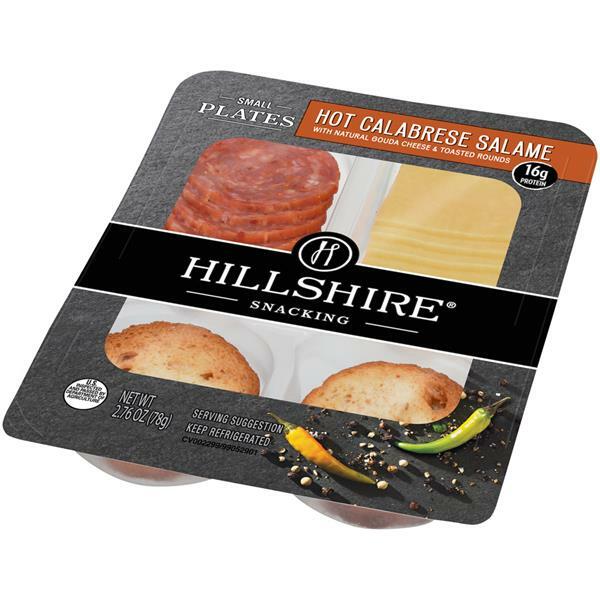 Perfectly portioned for snacking on-the-go, our Hot Calabrese Salame Small Plate has 16 grams of protein in each ready-to-eat serving. 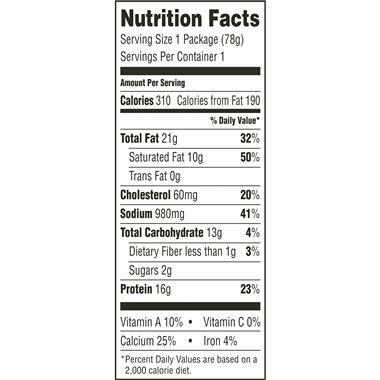 Includes one 2.76 ounce package. We’re big believers in a little thing called snack time. To us snacking is not about rushing or mindless eating. It’s about turning a few stolen moments into an elevated celebration that deserves to be savored. We’re here to turn snacking into an occasion, and you’re invited. Hot Calabrese Salame Ingredients: Pork, Dextrose, Salt, Contains 2% Or Less Of: Spices, Rosemary Extract, Sodium Ascorbate, Oleoresin Of Paprika, Garlic Powder, Lactic Acid Starter Culture, Sodium Nitrite.Natural Gouda Cheese Ingredients: Cultured Pasteurized Milk, Salt, Enzymes, Annatto Color.Toasted Rounds Ingredients: Wheat Flour, Sunflower Oil, Sea Salt, Isolated Oat Product, Salt, Yeast, Dextrose, Distilled Vinegar, Rosemary Extract (To Preserve Freshness), Ascorbic Acid (Antioxidant).